Did you catch the PlayStation press conference livestream? Notice when it went all black? We wanted to set a proper mood, tone, and stage for our debut of The Last of Us gameplay. The venue, as well as the hard work of the press conference production crew, afforded us a fantastic setup. It was an amazing opportunity to showcase our blood, sweat, and pixels on the massive video screen in the Los Angeles Memorial Sports Arena this Monday night. We’re amped by the response we’ve received so far and looking forward to a very busy, very fun E3. The Last of Us is a game like no other. We’ve just begun to show you what’s in store for Joel and Ellie as they travel across the post-pandemic United States. The drive to preserve humanity against the infection creates tension that pushes the limits of what constitutes being human. The story will explore the bond that forms between Joel and Ellie, and themes of loyalty, love, and redemption in ways never before experienced in entertainment. It’s an emotional rollercoaster that plunges and twists into the depths of what it means to be human and what it takes to survive. So buckle up and brace yourself. Our ride is just getting started. That was amazing. Naughty Dog has never disappointed us. Awesome! Glad to hear you enjoyed it. Excellent job Sony and naughty dog with the last of us!!!!!!!!!!!!! The e3 demo please put it on psn store please have some mercy!!! <—- that was the expression of amazement on my face, absolutely awesome! You guys knocked it out of the park!!!!!!! WOW. My interest level is through the roof. To follow a great god of war performance and blow me away. Playstation did there thing. Wow! This game is gonna be amazing. Loving the brutal combat! This went from a small blip on my radar to my most anticipated game. Can’t wait!! Out of all the games shown this is the one I’m looking forward to the most. Can’t wait to dig into that backpack some more! Loved the atmosphere, amazing sound and brutality with an impact that makes you cringe, as it should! Thank you guys, an amazing conference!! Thank you for making my free time plenty of fun. You are awesome guys. I missed a date because I CAN’T WAIT!!! Loved it? But when will it release? This year? 2013? We are not ready to announce a release date yet. We are focused on making it as awesome as possible. Loved it. I can’t wait to play it. I want this games soo bad!!!!! OMG that was amazing.. i’m calling it right now, GOTY!!!!! So no release date announced? Sony this E3 was not that good. Holy shotguns! that makes me want this game! Great catch! It’s a bit of The Last of Us slang for the Infected. It looks phenomenal!!! I hope its coming in 2012! Demo was not a 10. It was an 11!! Moving & terrible, TLoU is the new survivl horror! Thank you Naughty Dog! Ha. Happy it went to 11 for you. Thanks! Shotgun to the face always gets my attention. Definitely, my most anticipated title. When can we expect a release date Naughty Dog? Do you know the torture you are putting us all(gamers in general) through, of not knowing when we’ll be able to play this sure to be amazing game? We’re not ready to announce a release date yet but we will stamp it down hard once we are! Totally GOTY material here. I want it! I am going to be so broke when these new games release . last of us is another on my must buy list along with god of war ascension and Beyond . This game looks AMAZING! It feels so real! It’s hard to get enough money to buy a Vita when games like these are announced! I’m in love with Naughty Dog since Uncharted!!! Wow. Just… wow. So psyched for this game right now, I just about flew out of my shorts! Loved it, guys. My brother and I spoke on the phone about it for 20 minutes, after the Sony P.C. I was hoping for some gameplay, and boy did you deliver. I know you guys are taking your time with it and want to deliver the best product you can, so no rush. This and GOW:A blew my socks off the most. Can’t wait for both these games. But why you no give us release date!? The 2 bookend game showcases, with Last of Us closing the show, was superb. This game looks more astounding every clip we see. Sony exclusives are still the best. I was laughing when Ellie threw the brick. Amazing characters, stunning graphics and suspenseful atmosphere. Can’t wait. Ellie is a very capable, tough girl. Glad you are into the world already. Lots more to show over the coming months! Was I the only one who bounced in their chair while slapping their desk and laughing maniacally when they saw the ending? How do you keep making each game better then before Naught Dog, Magic? It was dead silence in the Sports arena when everything went dark. I knew right away what game was going to be shown next. I screamed like a little girl, in excitement. The E3 trailer left us wanting more with that final Shotgun shot. Thanks Jeff for an amazing day you, and Sony put on one hell of a show. I want this game so bad right now that I would sell my soul for it. Can’t wait! Naughty Dog delivering like always. Amazing gameplay demo. Can’t wait to see more. I think it’s safe to say that this demo stole the show. I mean… Jesus Christ! I was speechless. I liked this demo. It seems though you can’t shoot through things like walls or wooden tables or fabric couches. In a game that seems to ultra realistic, it seems very very odd that you can’t do something like this. I think making the game look so realistic may result in some inconsistencies in the gameplay side, which worries me a bit. ND just raises the bar again !! 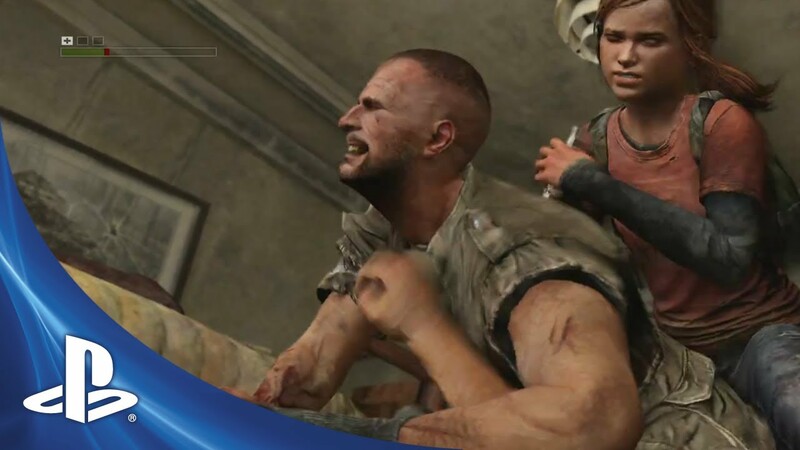 Naughty Dog does it again. As I peruse the internets this fine evening (morning), I think the adjective I’ve seen used the most in conjunction with the The Last of Us gameplay footage is “amazing.” I’ve used this adjective myself a few times tonight as well. Can always count on Naughty Dog to blow some minds and raise the bar for everyone!